It&apos;s often remarked that the job of being America&apos;s first lady is a job that has never been asked for. We elect the president, and his wife is thrust into the spotlight alongside him. Even so, America has had many exemplary women in the White House. For many of them, fashion was an effective and strategic means of communication. 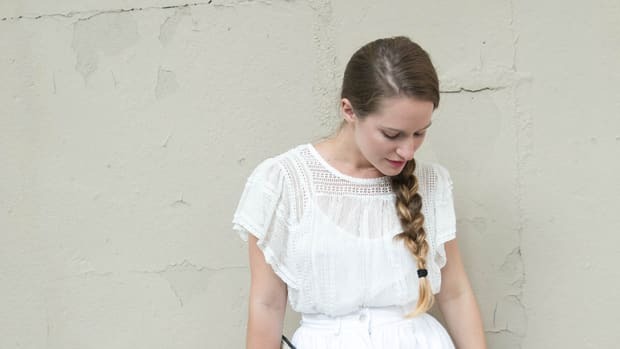 To relate to American citizens, to show respect to foreign customs, to support social causes, the style of the foremost females in politics has always been about more than just clothes. Here are five women who&apos;ve been in the political spotlight and a look at what made their closets so meaningful. 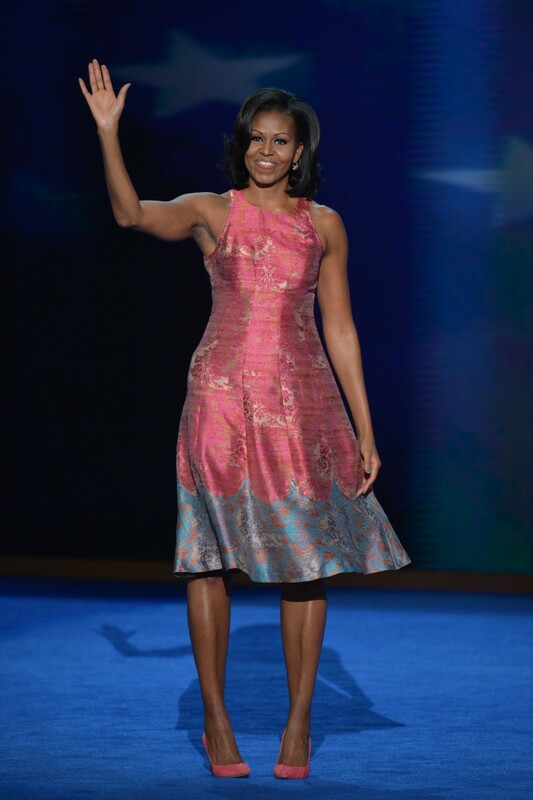 In Vogue, it was said that Michelle Obama&apos;s "daring fashion instincts have won her near-universal accolades from an industry that had a champion in the White House for the first time in decades." One of her most notable fashion choices has revolved around her support of the humble—by first lady standards—brand known as J.Crew. Accessible to women everywhere, Michelle has worn the household brand countless times during her time in the White House. She is also known as a champion for new, unknown designers, often catapulting them to fame by wearing their designs. Her fashion legacy is two-fold though, just as much about her propensity for basic cardigans as it is about her stunning Versace or Gucci moments. Michelle&apos;s outfits reflected a palpable enjoyment of fashion and a keen eye for how clothes can truly make a statement. Most of all her fashion choices spoke to inclusion, and that&apos;s what she will remembered for. 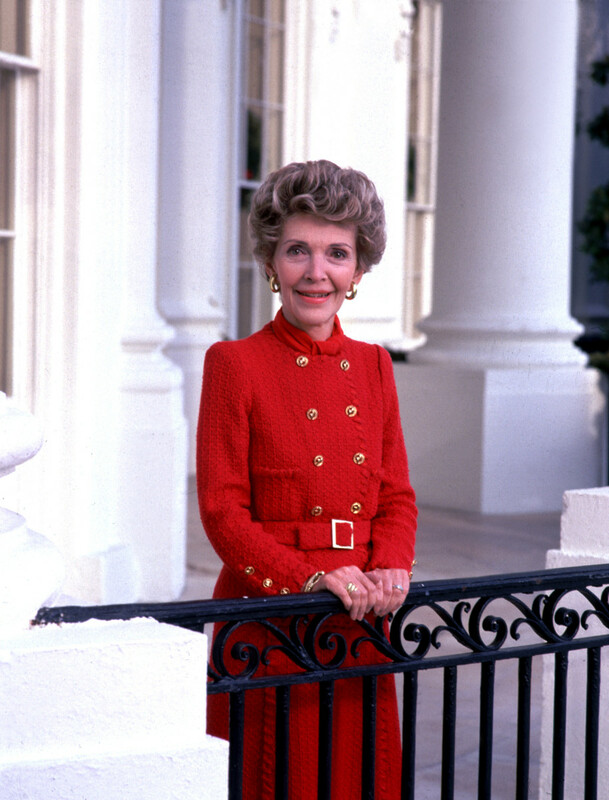 On Inauguration Day in 1981 Nancy Reagan wore her favorite color, which from that day forward was known as "Reagan Red." Clad in this crimson hue since the 1950s, Nancy made red her trademark as she donned the fiery shade at nearly every public event. 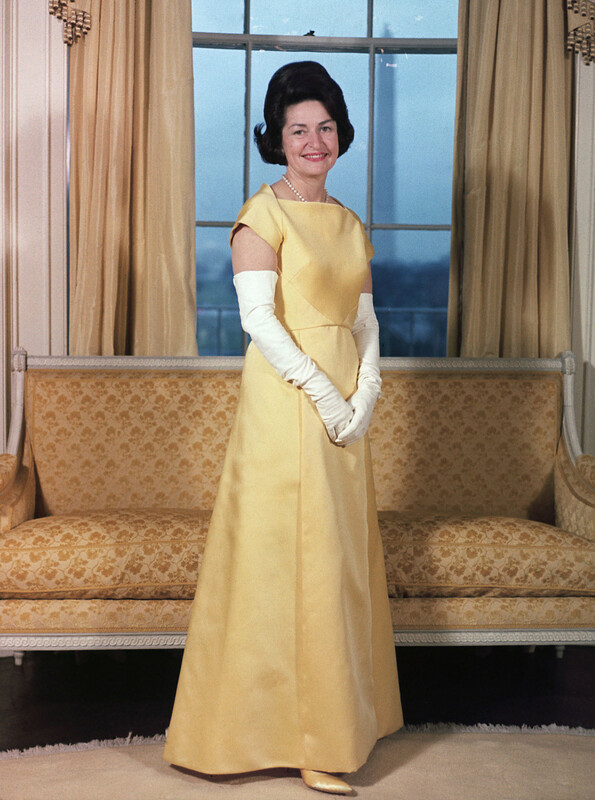 Nancy brought a sense classic, if lavish, style to the White house. Many noted that her sartorial choices were very glamorous and evocative of Old Hollywood; some even criticized her for it. Regardless, W Magazine once remarked that the first lady had a knack for "looking perpetually appropriate and perfectly pulled together." For those of us who tend toward a neutral wardrobe, Mrs. Reagan provides a fine example of a woman who embraced bold red, blues, and greens, and did so with an enviable elegance. Perhaps the first lady most remembered as a style icon is Jacqueline Kennedy, wife to John F. Kennedy. 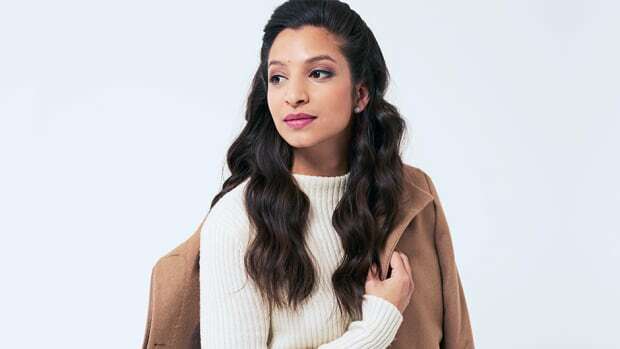 She was known as a trendsetter during her time in the White House working with French-born, American designer Oleg Cassini to curate her wardrobe. As a first lady, she was famous for low heels, pillbox hats, A-line sleeveless dresses, and tailored suits, among other things. 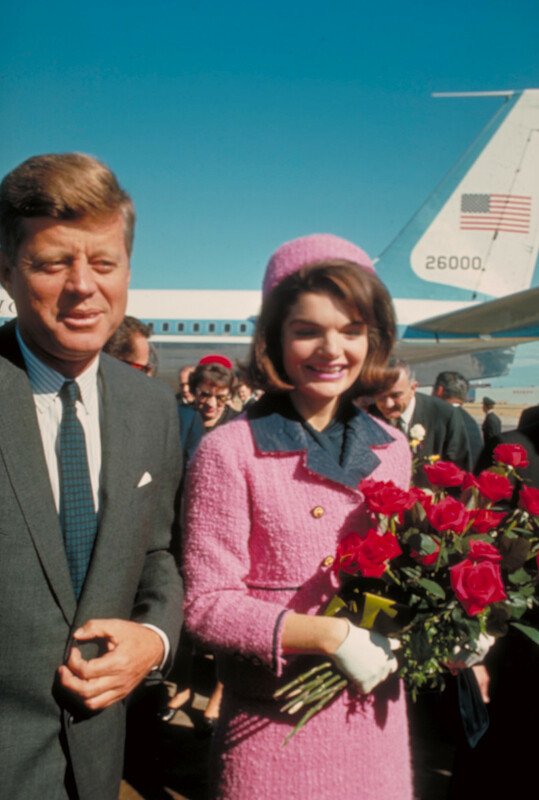 Her most famous ensemble is, tragically, the pink Chanel suit she adorned on the day of her husband&apos;s assassination. 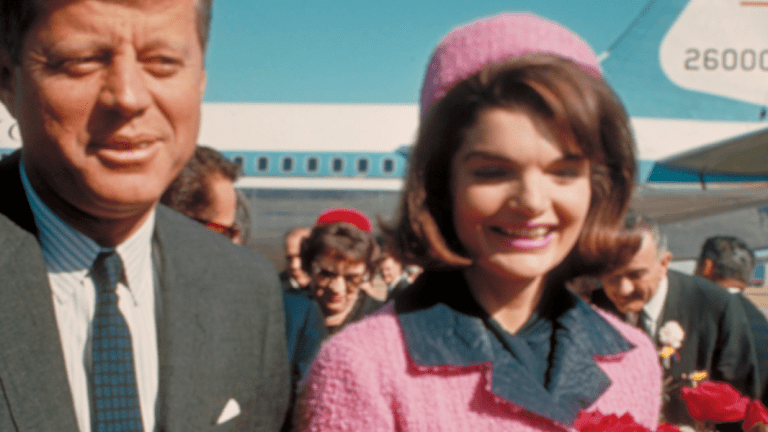 As if the suit itself weren&apos;t iconic enough, displaying Jackie&apos;s fashion-forward tendencies, her controversial decision to wear it in public even after it was soiled by her husband&apos;s blood made it an outfit that will never be forgotten. Even today, Jackie is often the example used to show how much a first lady&apos;s style choices can influence the entire public. Jackie is heralded as an emblem of true Americana style. Succeeding the grieving Jaqueline Kennedy and inheriting a country in mourning demands the utmost sensitivity. When it came to the inauguration of Lyndon B. Johnson, Lady Bird Johnson made an expected yet most-appropriate style choice that resonated with the country. She wore bright canary yellow, a color most commonly associated with light and joy. Many have remarked that Mrs. Johnson&apos;s fashion choices were not remarkable. Yet, as the Washington Post keenly pointed out, "She had an appreciation for beauty and its potential to instill pride in people...." Recalling her love of nature and it&apos;s ability to inspire, the Post declared, "Lady Bird made beauty—the kind that is simple, familiar and accessible —important." She was known for embracing diversity and size inclusion, which is no small thing. 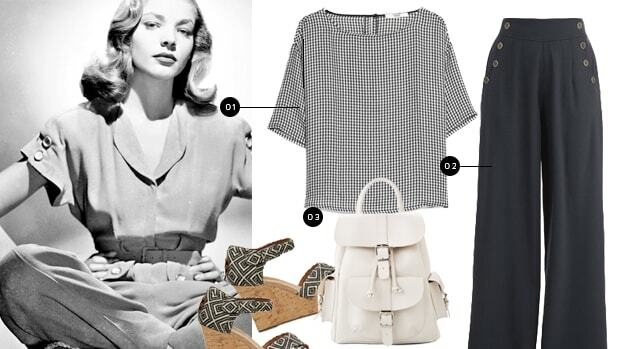 So, not a First Lady, but an American style icon with a political history nonetheless, Grace Kelly certainly carved out a spot in fashion&apos;s history so we&apos;ll giver her an honorable mention here. It&apos;s not every day that the moment you meet your future husband is caught on film. Then again, Grace Kelly&apos;s silver screen-to-royalty story is hardly common. 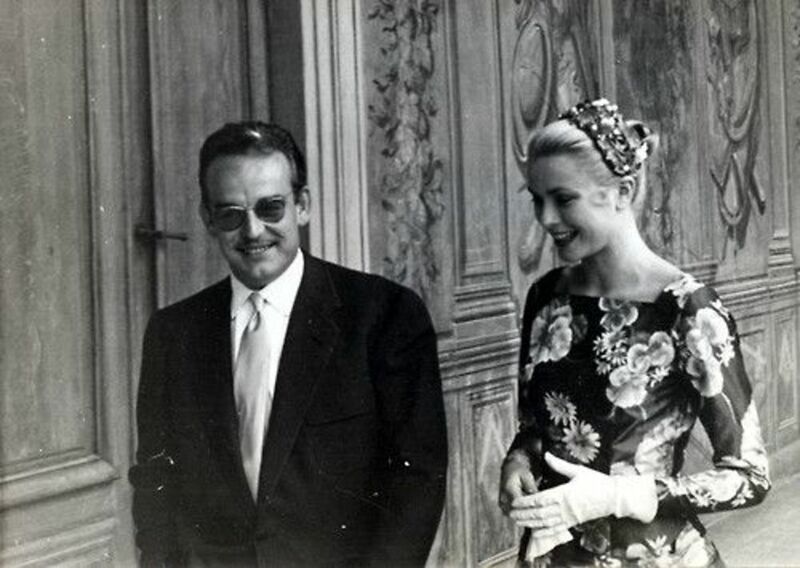 From their first handshake to their first exchanges, the world witnessed the very moment their favorite film icon, dressed in a memorable floral frock, met her literal Prince Charming, Prince Rainier of Monaco, and proceeded to live a life of political and monarchical decorum. With her lovely yet bold choices, Grace became an icon of femininity. Her son, Prince Albert, told People some time after her death, that his mother "was even more beautiful on the inside." Here&apos;s to being lovely both inside and out!